This story reads very quickly because it is told in a blend of free verse and diary. Georgia’s mother died six years ago and her father continues to struggle with his grief. Georgia feels quite alone. Her mother was an artist and Georgia has her artistic gift as well. Georgia has a compassionate school art teacher on her side who strives to help Georgia. It’s hard for West to tell what’s going on . . . he knows he’s in a hospital, but no one talks directly to him and he’s aware for only brief flashes at a time. Slowly, he becomes more awake, and understands that he’s been in a coma for a while after a biking accident. Aside from very limited hand movement and blinking, he can’t move, and few people even acknowledge that he’s awake under his paralysis. When all the nurses and family leave, Olivia, the patient next to him, sneaks in for a visit. Even though he can only blink for yes and no and write a word at a time, Olivia keeps talking to him, and they cherish each other. West decides to have a risky surgery so he can get better for her, and hold her frail body in his arms to protect her. That’s not quite how the story plays out, though. As he recovers and starts to communicate, the lines between reality and something else begin to blur, and West struggles to figure out what really happened. The author knows her craft. The writing is fluid. Character development and pacing are spot-on making for a quick read. She captures the feeling of West’s helplessness and the deep loss that is Olivia. The twist in the book took me by surprise – and it is a big twist. Addie is only twelve and has to fend for herself. 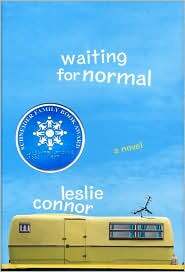 When her step-father moves out with his two daughters (Addie’s step-sisters), he leaves Addie and her mother in a small trailer parked in a deserted parking lot. Addie’s mother is unfit, leaving her alone for days. Addie gains support from caring adults, but she is still very much on her own. She is waiting for a normal life. Okay, I rarely cry when I read a story. This one left me in tears. Tears of sadness or joy, I won’t say – don’t want to spoil it. Melody has cerebral palsy. She has a brilliant mind trapped inside a body that doesn’t work. She has two amazing thumbs that she can control. Her parents and neighbor have long believed her mind was alert and absorbing everything. However a long list of teachers treated her as if she had the mind of a toddler. Finally, she gets assistance in school through the inclusion program. She gets a special computer/keyboard that she can control with her two thumbs. Finally, she can communicate with her parents. Her first words to them are, “Hi Dad. Hi, Mom. I am so happy. I love you.” This was on our reading list one year and I am thrilled that so many students were touched by the story. Catherine’s family revolves around her autistic younger brother, David. She has developed rules to help him handle life that complies with the rules of society. She loves her brother but is also embarrassed by him. One day, she meets a young paraplegic who communicates by pointed at picture cards. Their friendship grows as she draws more picture cards that expand his vocabulary. Quite a lot is packed into a rather short book. Colin Fischer has Asberger’s syndrome (high functioning) and begins high school without the adult specialist who has helped him strive to decode his classmates. On the first day of school, the school bully shoves his head in the toilet. Colin simply returns home to change, showing and feeling little emotion. Colin is brilliant, cannot stand to be touched, cannot handle loud noises, and cannot understand human emotions but by golly he is determined to investigate. His parents, both highly intelligent and employed by NASA, are wonderfully understanding and end up surprised at how Colin is handling high school. A student brought a gun to school and it went off in the cafeteria. Fortunately, no one was injured, but a student was accused and expelled. Colin has long admired detectives with his hero being Sherlock Holmes. Using his organized mind, acute observations, and logical reasoning, Colin sets about proving the innocence of the accused, the teen who has been bullying him since elementary school. The story is told in 3rd person and 1st person. For the most part, a narrator tells the story but there are pieces from Colin’s ever present journal and also Colin’s first person voice making observations. Colin Fischer could be the young Monk (TV show detective). Colin’s mind is filled with facts that spill into the novel as lengthy factoid footnotes that I thought were quite clever. I found it interesting that Colin’s younger brother isn’t supportive or understanding but resentful and embarrassed by his brother and does not hold back from name calling. That is real life; there are many siblings who are simply not very supportive of each other. This book is tremendously well written. Engaging, informative, fascinating. Wow. I’ve been sorting through everything I’ve read lately, trying to narrow down the reading list for my school next year. Wonder will be on the list. Auggie was born with severe craniofacial deformities. He’s had twenty seven surgeries. He has been home schooled until the fifth grade when he enrolls in middle school. “. . . Sending him off to middle school like a lamb to the slaughter”, says his father. He encounters the ups and downs of middle school life. He makes friends, is betrayed by friends, discovers bullies, and makes more friends. Auggie has the wonderful, supportive, kind, amazing family that everyone deserves. They are his strength and he is theirs. The story is told with a light heart, smiling one minute, then misty-eyed the next. The writing is smooth, flowing, meaningful, and easily consumed. This was a one-rainy-day read for me. Told primarily in Auggie’s voice, we also hear from Summer and Jack (new friends), Via (sister), Justin (sister’s boyfriend), and Miranda (sister’s friend). More than a story of dealing with craniofacial deformities, it is a story about relationships and about life. Brilliant. It is a must read for everyone. I just love this book. Lucy is very large for her age and looks older than she is. Her father is abusive. She has had enough and leaves home. She gets a dangerous and grueling job aboard a lobster boat in the cold waters of the Bering Sea off Alaska. Her kind ship captain takes her under his wing and gives her hope and encouragement. Beautiful story. I read this book when it was published in 2002, before the popular Discovery Channel series, Deadliest Catch began. Watch a few episodes of that series and imagine how you would manage on a crabbing boat in the Bering Sea. Life Happens Next is the follow-up to the author’s January 2001 Printz Honor Award winning book, Stuck in Neutral. It helps to read the first book but this novel can easily stand on its own. I have waited twelve years for this publication and it is well worth the wait. Shawn McDaniel is a young teen with profound cerebral palsy. He has a brilliant mind trapped in a body that does not work. No one knows he is smart – he has no way of communicating. Shawn is telling his story and shares his positive outlook on life. He has the most amazing patient, nurturing mother and a protective brother and sister. His father loves him but couldn’t deal with Shawn’s disability so he makes sporadic appearances with the family. Debi, an adult cousin with Down ’s syndrome comes to live with them after her parents die. She brings along her annoying dog, Rusty. Shawn is terrified of Rusty until one day when Rusty lies protectively on him while he has a seizure. Debi and Rusty are the only ones who truly see Shawn, that there is someone wonderfully intelligent in the dysfunctional body who is aware of everything. With characters based on the author’s close family members, the author clearly describes Shawn’s feelings of powerlessness and frustration. He also provides insight into the behaviors of those with Down’s syndrome. The brilliance in the writing is that this is not a depressing book; rather it is filled with optimism and a celebration of life. It is about the daily connections that we make and the need for kindness, empathy, and caring. Jessica is the star of her high school track team. Coming home from a track meet, their bus was in a terrible accident. One student was killed and Jessica’s leg was so badly injured that it had to be amputated. The doctors told her she was lucky. Lucky!? Yes, lucky because she is a below the knee amputee that helps in adjusting to the prosthetic limb. Jessica goes through a realistic range of emotions, and then becomes determined to run again. This book is was on our reading list and very popular with boys and girls. Inspirational story. The author is a prolific writer and a brilliant story teller. All of her books are excellent.